Need Help? Ask our Team of Experts! 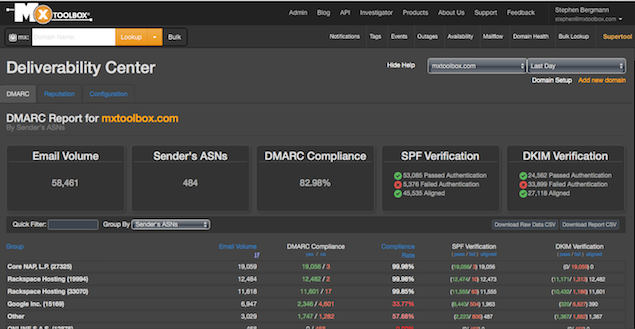 DMARC, DKIM, and SPF records to help with your email reputation. Get Your DNS Questions Answered! Setup Assistance. Make the most of your monitors! Are your emails being delivered? Are you getting bounces? Our team can help. Our team has been working for over a decade to solve customer email issues. Our experts are available to you by phone, email, or our ticketing system. We will help your issues related to Email Delivery, DMARC, Blacklists, DNS Problems, DNS Security, DNSSEC, and more. Contact our team for support! Please provide us with some information on any problems you encounter with out tools or our website. We appreciate your feedback.